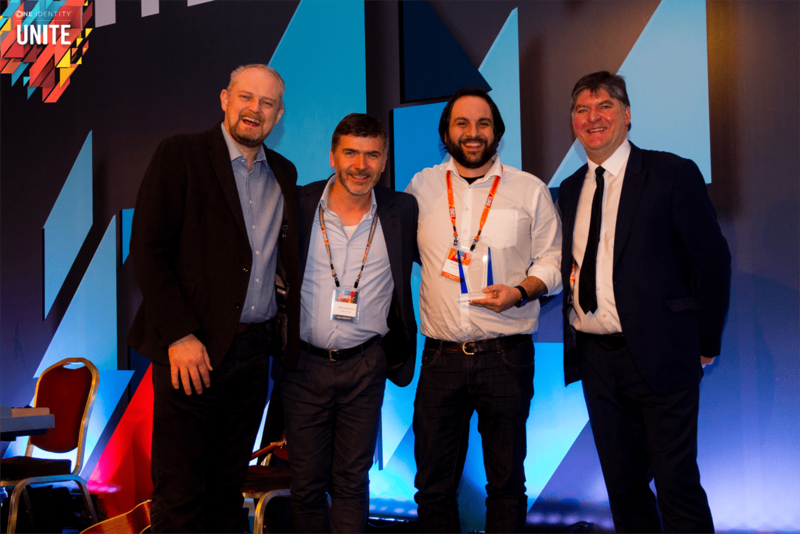 Budapest, Hungary – April 8, 2019 AspisID won its first award last week during the yearly UNITE (partner and customer) event of One Identity. This global event brings together One Identity’s customers and partners, as well as our very own product experts. This to discuss innovations and challenges in the identity governance, privileged access management, access management and IDaaS markets. As a team we are very proud for winning this award and it motivates us for upcoming the future. AspisID is rewarded with this price because of its growth and the One Identity Academy that it started. AspisID is hiring graduates from universities and training them via an intense development program to become One Identity experts. With this unique talent development program AspisID is fulfilling the growing need of One Identity specialists. One Identity, a Quest Software business, helps organizations get identity and access management (IAM) right. With a unique portfolio of offerings including identity governance, access management, privileged management, and identity as a service, One Identity helps organizations reach their full potential, unimpeded by security, yet safeguarded against threats. For more information visit One Identity. AspisID is a unique Identity and Access Management firm based in the Netherlands and in Greece. AspisID implements IAM strategies, processes and solutions for its customers and supports them in supporting the IAM solutions via managed services. To make sure AspisID works with the best IAM specialist, a special One Identity academy was started to train people in becoming experts of One Identity. Want to meet us? Contact us via AspisID.